What counts as knowledge, and why? Born in St. Joseph, Missouri, Lawrence Hazelrigg spent most of his youth studying nature up close and personal--cattle and horses, grasses and grains--all of which led compulsively to studies of maps, histories, and cultures of the world, followed by a little travel courtesy of the US Navy. Some years later, graduate studies and a PhD from the University of Texas, Austin, took him into the academic world of the university, just as that world was being yanked finally and completely from its roots in medieval institutions and fully into twentieth-century commercial culture. He also noticed that cattle were being industrialized, horses romanticized, grasses and grains extra-energized--and everything commodified. Concerned about the arrogance of writing, Hazelrigg wrote anyway. Then he noticed that the thirty-second sound bite was winning handily, and that the audience for what he wanted to write had broken 100 on its way to becoming a handful (as a colleague graciously enlightened him). So he wrote with less trepidation. He remembered Nietzsche’s observation that “the nihilistic question ‘for what?’ is rooted in the old habit of supposing that the goal must be put up, given, demanded from outside--by some superhuman authority. Having unlearned faith in that, one still follows the old habit and seeks another authority that can speak unconditionally and command goals and tasks... One wants to get around the will, the willing of a goal, the risk of positing a goal for oneself; one wants to rid oneself of the responsibility (one would accept fatalism).” It was about this time that he joined The Leaning Urban Tree Society. He also entered the rapidly growing labor force known as “consultants” (in addition to his employment on university faculties). Among his writings, Hazelrigg recently recalled, with some remaining satisfaction, “Reading Goffman’s framing as provocation of a discipline” (Human Studies), “Marx and the meter of nature” (Rethinking Marxism), “The problem of micro-macro linkages” (Current Perspectives in Social Theory), “Tocquevillean perceptions of equality” (The Tocqueville Review), and “On the importance of age” (Studying Aging and Social Change), as well as the journeyman work of a normal social scientist. These latter works, reports of research and evaluation, have appeared in journals such as American Journal of Sociology, American Sociological Review, Vierteljahresheft zur Wirtschaftsforschuung, Social Indicators Research, and Social Forces. Several of his papers have been reprinted in anthologies. According to the Cumulative Index of Sociology Journals 1971-1985 (Washington DC: American Sociological Association, 1987), an index of all authors published during those fifteen years in the Association's journals, plus the American Journal of Sociology and Social Forces, Hazelrigg was in the top one percent of authors. In addition to the books featured here, Hazelrigg has published Prison within Society (1968) and, as co-author, Class, Conflict and Mobility (1972, 2005), Ending a Career in the Auto Industry (1996), and Pension Puzzles (2007). He has contributed to reference books such as Encyclopedia of Sociology (on individualism) and Handbook of Data Analysis (on inference). Recent articles include "Forty years of Knowledge and Human Interests" (2009), "On theorizing the dynamics of process" (2010), "Developments of analytical logic and dialectical logic with regard to the study of process dynamics" (2012), "Experience, problems of scale, and the aesthetics of perception" (2014), and "Turning the circle," a review essay on Simon Susen's study of literatures of postmodernism (2016), all appearing in Current Perspectives in Social Theory. The books featured as "Selected Works" were begun in the 1970s. They were, and remain, works of conviction written for all who agree with Walt Whitman, in his Democratic Vistas, that “Books are to be called for, and applied, on the assumption that the process of reading is not a half-sleep, but, in the highest sense, an exercise, a gymnast’s struggle; that the reader is to do something for himself, must be on the alert, must himself or herself construct indeed the poem, argument, history, metaphysical essay--the text furnishing the hints, the clue, the start or framework.” Hazelrigg repeatedly reminds his readers that they have keys to meanings, some of which will perhaps accord with, perhaps be the same as, those he sought to make. Reading is a productive act, a journey with signposts, destinations, pleasures and pains built by a reader from materials left behind by a writer, even a writer who writes for others by writing for him- or herself. After more than thirty-five years of life in the university, Hazelrigg retired in 2002. 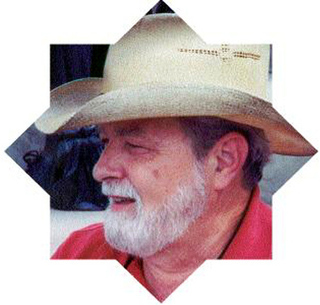 Now professor emeritus at Florida State University, he remains engaged in projects of research and writing. While no longer traveling the world, he still enjoys visiting the art museums of NYC, the American Prairie Reserve of Montana, and Red Rock Country. An avid amateur plantsman, Hazelrigg maintains a collection of trees and shrubs from around the world. Other avocations include ancient Greek and Chinese literatures, the history of portraiture, cosmological theories, woodworking, and family history (see Quick Links). And, yes, cattle and horses, grasses and grains.